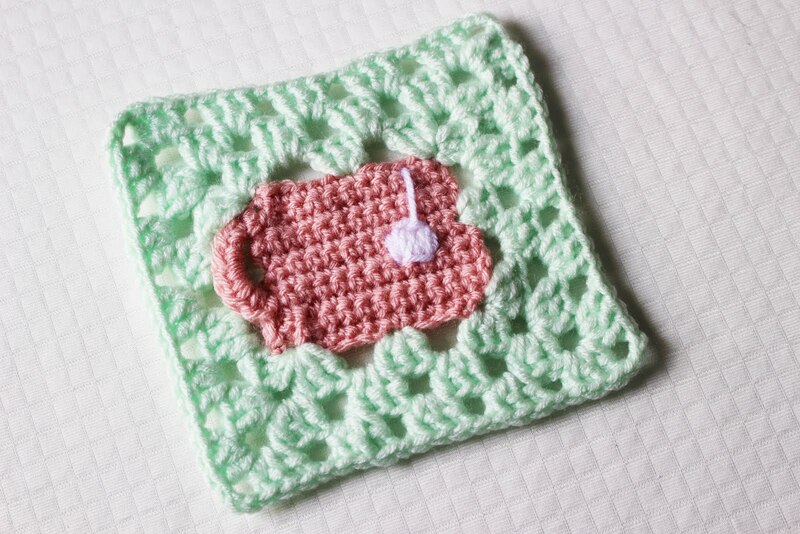 After making the coffee cup granny square to go with our Bake Shop Blanket, I wanted to be sure to not leave my tea drinkers hanging. Nothing I tell you, nothing! So here is this little cutie – he works up super quick and is just too adorable! As always, the handy video tutorial! After Row 6, Ch 1 and do not turn. Using a tapestry needle and white yarn, sew a small square, fill it in, and sew a line to the top of the mug – see video tutorial for help with this! Easy, peasy, right? I hope you guys enjoy this one! I’ll see ya next Friday for another square!